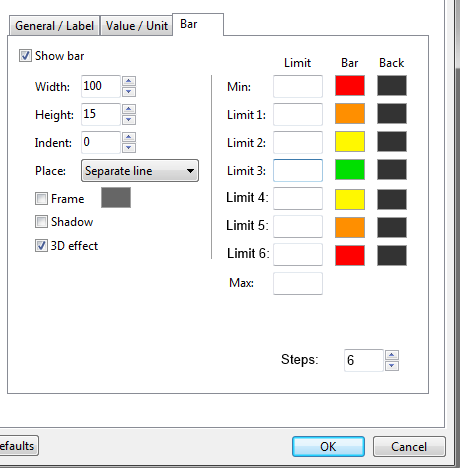 Unfortunately AIDA64 OSD Panel and SensorPanel cannot be displayed while running a full-screen 3D application. They are still running and updated on your Windows Desktop while e.g. playing a game, you just cannot see them -- same way that you cannot see the Windows Desktop while playing a game. I'm afraid AIDA64 cannot expose or export SensorPanel images in any ways. I'm sorry, but ... AIDA64 is written in Delphi? Maybe, there is possibility to transfer the image of SP using TSocket? 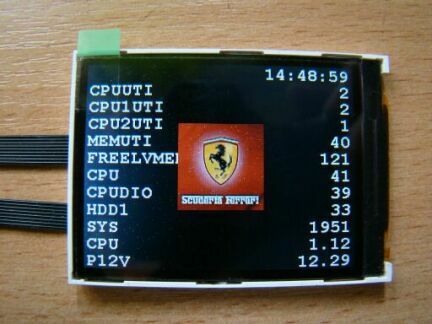 For example, this will allow to view the SP remotely on a PDA or tabletPC. I'm afraid we currently have no plans to extend SensorPanel in that way. It's weekend again, the perfect time to build a new SensorPanel using AIDA64 Extreme Edition! Here is a video tutorial to help making the first steps. As for the adaptable bar limits, we believe it would be too much (too many colors) to track for most users, so we prefer not to implement that. 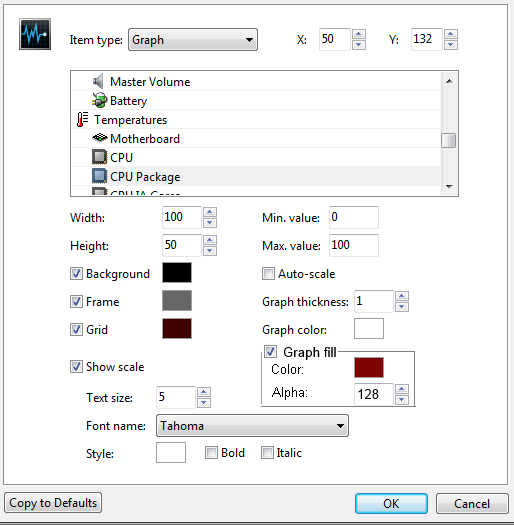 In case the graph exceeds the configured limits, then you need to either set the limits to higher/lower values, or enable the auto-scaling feature. I'm seeing an odd issue with the line graphs in the current version, the line does not seem to scale properly to the height of the graph. btw. nice work on the area graph, thanks for considering my idea. Thank you, the issue will be fixed in the next AIDA64 beta release. At first I thought that "Show SP" from the tray does not work, then I remembered that my Update Frequency for SP = 60 sec and it appears after 60 sec. This is good for reducing CPU usage, but bad for the show/hide SP. I think you'll have a lot of messages "Why Show SensorPanel does not work?" I'm not sure what you're talking about. First of all, it's not possible to configure a 60 seconds update frequency for the SensorPanel. And even if you configure a very long update frequency (of e.g. 30 seconds), when you hide and show the SensorPanel using the right-click menu of the System Tray icon, it will disappear/appear immediately, regardless of the update frequency setting. svetlika, are you talking about the time you have to wait before the SensorPanel appears at Windows boot-up? I think there is not much you can do about that and it's not related in any way to the update frequency. I have an outdated, Athlon 64 X2 based PC on which it also takes a while for the panel to appear when Windows starts. I have some other startup programs and they simply need some time to load, just like AIDA64. Sometimes loading AIDA64 at Windows startup could take a while. It is because Windows' driver subsystem prefers statically loaded (installed) kernel drivers over dynamically loaded kernel drivers. AIDA64 uses dynamically loaded kernel drivers to assure it is 100% portable between Windows installations and different computers as well, and also it makes it easier to update the software automatically. I have finally gotten around to designing a sensor panel to replace my aging Windows 7 sidebar gadgets. I have to say the sensor panel is really great, but I have a couple of requests. I am monitoring the download rate of my network card and the unit is in kilobytes per second (KB/s). I am mainly using this to see what download speed I am getting from the web so a figure in Megabits per second (Mb/s) would be more useful. Others may want to monitor the internal network traffic so MB/s may be more meaningful. In the sensor panel manager you can change the unit from the default KB/s to any other string of text but of course this only affects the text displayed after the reading, it does not do a conversion. So I was wondering whether Aida could convert the reading if a legitimate unit was entered. E.G. a value of 12500 becomes 100 if Mb/s is entered in the unit field. If a non recognised unit is entered then no conversion would be done. Alternatively you could have a drop down box with various pre-defined units, or the units could be set in Aida's main preference page. Secondly, I would like to echo the request of Garfunkel above. I have set up a line graph for network traffic with a maximum value of 19000 entered (representing my maximum download speed from my ISP of 152Mb/s). This is fine until I transfer files to and from my NAS when the line of the graph covers other parts of the sensor panel! Could this be changed so that the line is never displayed outside of the predefined graph area, so even if the reading is higher than the set maximum value the line just maxes out at the top? 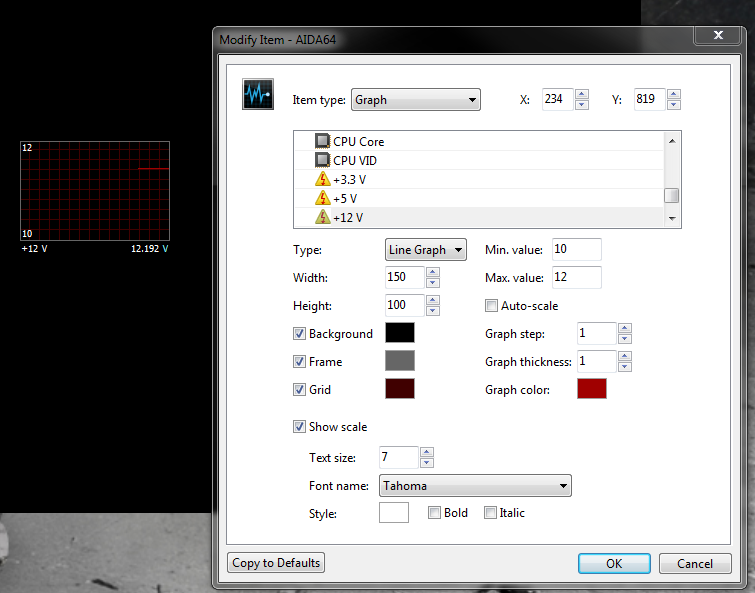 In the attached, see the yellow line rising from the graph at the bottom of my sensor panel. E.G. a value of 12500 becomes 100 if Mb/s is entered in the unit field. If a non recognised unit is entered then no conversion would be done. We'll try to do that in the next AIDA64 beta update. 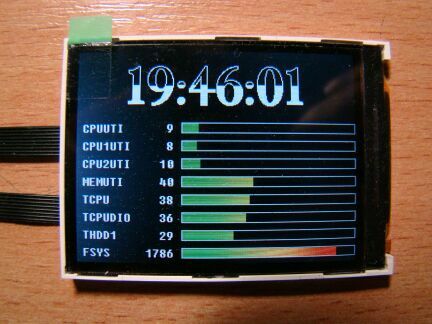 It's not that easy I'm afraid, since we would have to apply major revamping on the hardware monitor module of AIDA64 to make it happen. Could this be changed so that the line is never displayed outside of the predefined graph area, so even if the reading is higher than the set maximum value the line just maxes out at the top? I look forward to trying the next beta. I've got the new beta, thanks for the clipping, and I see that MB/s conversion works which is great. However is there any chance you could do Mb/s as well (or if not then instead)? Sorry to be a pain but this is a more meaningful unit when comparing my actual download speed with the supposed maximum from my ISP. Got the latest beta. Mbps works perfectly, thanks Fiery!